The Ivory Club of Tampa Bay will hold its Annual Lecture Series and Gala night on May 13 2017. Please join us as we celebrate the 13th anniversary of our signature charity event. Theme: "Ties that Bind: Shared memory and history between Africans and African Americans". Keynote Speaker - Okey Ndibe, renowned author and social commentator. • University of South Florida (USF) Endowed Scholarship. Since 1999, the Ivory Club has awarded need and merit based scholarships annually to deserving students. We invite you to come and experience the night with us. 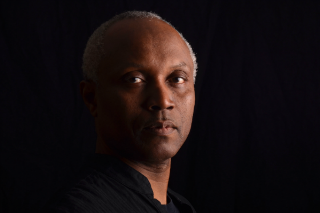 Okey Ndibe is the author of two novels, Foreign Gods, Inc. and Arrows of Rain, a memoir, Never Look an American in the Eye: Flying Turtles, Colonial Ghosts, and the Making of a Nigerian American, and co-editor (with Zimbabwean writer Chenjerai Hove) of Writers Writing on Conflicts and Wars in Africa. Janet Maslin of the New York Times as well as Philadelphia Inquirer, Cleveland Plain Dealer, and Mosaic magazine named Foreign Gods, Inc. one of the 10 best books of 2014. The novel was also included in the National Public Radio list of best books of 2014. Ndibe earned MFA and PhD degrees from the University of Massachusetts at Amherst and has taught at Brown University in Providence, RI, Trinity College in Hartford, CT, Simon’s Rock College in Great Barrington, MA, Connecticut College in New London, CT, and the University of Lagos (as a Fulbright scholar). In 2015-2016, Ndibe was a Black Mountain Institute (BMI) fellow at the University of Nevada, Las Vegas. Ndibe first came to the US to serve as founding editor of African Commentary, a US-based international magazine published by the late great novelist Chinua Achebe. Ndibe later served as an editorial writer for Hartford Courant, the oldest continuously published newspaper in the US, where one of his essays, “Eyes To The Ground: The Perils of the Black Student,” was chosen by the Association of Opinion Page Editors as the best opinion piece in an American newspaper in 2000. Another essay of his, “Unwarranted Graphic Authentication,” was named the 2001 best opinion piece by the Connecticut chapter of the Society of Professional Journalists). He writes for numerous publications, including the New York Times, Guardian, BBC online, Al Jazeera online, La Repubblica, Financial Times, Fabian Society Journal, and the (Nigerian) Daily Sun, where his widely syndicated weekly column appears. He is currently working on a novel titled Native Tongues.